Iron Man: Don't worry, Professor Pym. We're gonna set you free. Hank Pym: I never worry, Tony! I removed that part of my brain! Iron Man: Can't you use your Pym Particle powers to escape? Hank Pym: I'm currently conducting a shared thought experiment with my many alternate selves, and altering my brain chemistry with Pym Particles could irrevocably cripple the entirety of the space-time continuum! Pepper Potts: We're so happy to have you back, Professor Pym! Can I get anything to help you save the rest of the faculty? Hank Pym: I have my health, and my freedom! That's all I need! Pepper Potts: That's a great way of looking at things. Hank Pym: And I have a garbage bag full of ants! 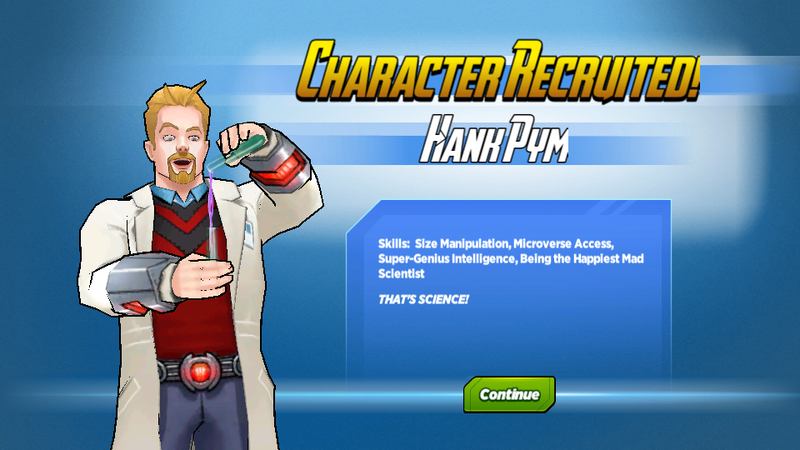 Hank Pym: It feels fantastic to be back in the lab! Let's science! Iron Man: I would, but I'm working on a set of cosmic armors back at Stark Tower. I'll catch up with you later. Hank Pym: Start the countdown! Iron Man: Countdown to what? Hank Pym: The answer to that question is always a potential explosion! Black Widow: I knew you kept weapons underneath the campus. What else are you hiding? Hank Pym: Have you ever visited the Microverse? Hank Pym: It's an analogous answer to your question! Hank Pym: No one understands anything! That's science! Hank Pym: Scott! I noticed you're getting quite good at riding atop our ant friends, but why don't you ever fly? Hank Pym: Queens and reproduction-capable males have wings, and are excellent flyers! You've only been dealing with the wingless worker ants! Ant-Man: Maybe I should change my name to Doesn't-Know-That-Much-About-Ants-Man. Hank Pym: You were always the funny one! Hank Pym: There's nothing like feeling the wind in your hair, and an ant's thorax between your fingers! Ant-Man: How long did it take for you to learn how to fly like that? Hank Pym: I don't remember! Ant-Man: Because it was so easy? Hank Pym: Because I crashed headfirst so many times! Loki: Are you going to help us disable the invading forces for once instead of screaming incomprehensible nonsense? Hank Pym: I'll do both! Pepper Potts: Do you remember the list of requests I gave you after the initial accident at your lab? Hank Pym: Absolutely! I memorized it before throwing it in the timefog to see if it would come back with autographs from famous scientists throughout history! It didn't! Pepper Potts: Do you remember the first request? 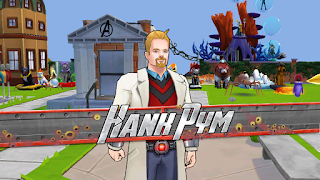 Hank Pym: Please don't burn down my school. 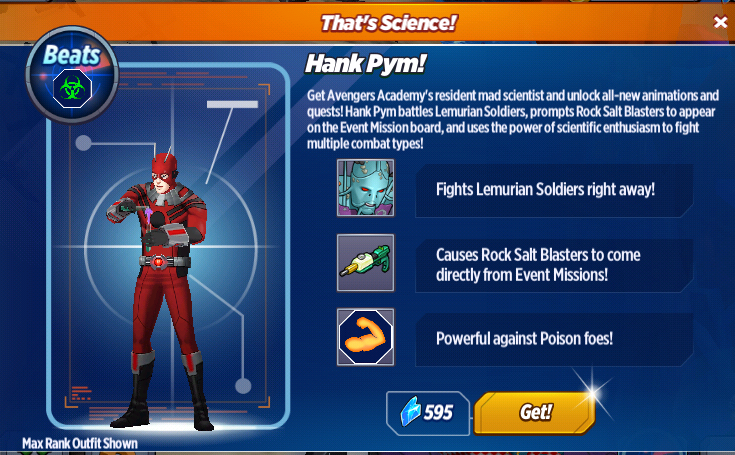 Hank Pym: And that's science! Hank Pym: I hope it's Gro-Rilla of the Ape-Vengers! He's the best! Nick Fury: Yeah, well, this one is the worst. Nick Fury: When has being dead ever stopped a Super Hero? Hank Pym: My tools aren't picking up any sign of the evil Pym. 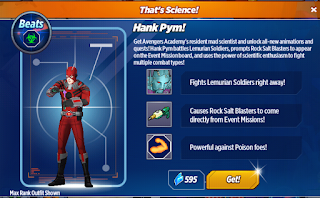 Hank Pym: My secret lab buried deep in the heart of an inactive volcano?! Hank Pym: There are so many volcano related things that no one knows about me! Nick Fury: You sure you don't want any help against the evil Pym? Hank Pym: Absolutely not! I'm the only one suited for where this fight may take us! Nick Fury: Where is that? Hank Pym: To the very beginning! Nick Fury: Are you alright? Hank Pym: I'll survive. Actually, there's a three percent chance I won't survive, so let's just say that I will most likely survive. Nick Fury: What happened to the evil Pym? Hank Pym: We fought across time and space. He has an advanced handheld time travel device. I picked up readings of an alternate me here during Kang's attack, but passed it off as a glitch. I was mistaken. Nick Fury: Why would he steal Kang's tech? Hank Pym: The same reason he was trying to steal mine. He's working with a cabal of alternate super-scientists. They want to reset reality in their image, but don't yet have the means. Nick Fury: How do I know you aren't the evil Pym? Hank Pym: I need your help, Black Widow! Hank Pym: For unknown reasons, the timefog anomaly resulted in more alternate versions of me entering our world than any member of the superhuman community. Unfortunately, some versions of me are extremely dangerous. Hank Pym: I need you to keep an eye on me to make sure I'm not a different me, and take action if you notice me acting strangely. Hank Pym: Stranger than usual. Hank Pym: You're an excellent spy. And you won't show the evil me mercy. Black Widow: What makes this other version of you so evil? Hank Pym: Villains are not so different from heroes. We both want to change the world for the better. We just have drastically different definitions of the word. Black Widow: What does the evil you want to do to the world? Hank Pym: I'd like to connect every Arc Reactor in Stark Tower to my most powerful portal to create a space-time continuum black hole capable of sucking every time and universe displaced being into a secured pocket dimension of our own design! We'll worry about that later! I can turn your finger into a torpedo! Inertia is a property of matter! The mitochondria is the powerhouse of the cell! There's no "Y" in science! I'm a giant not a fighter! You're my favorite test subject!